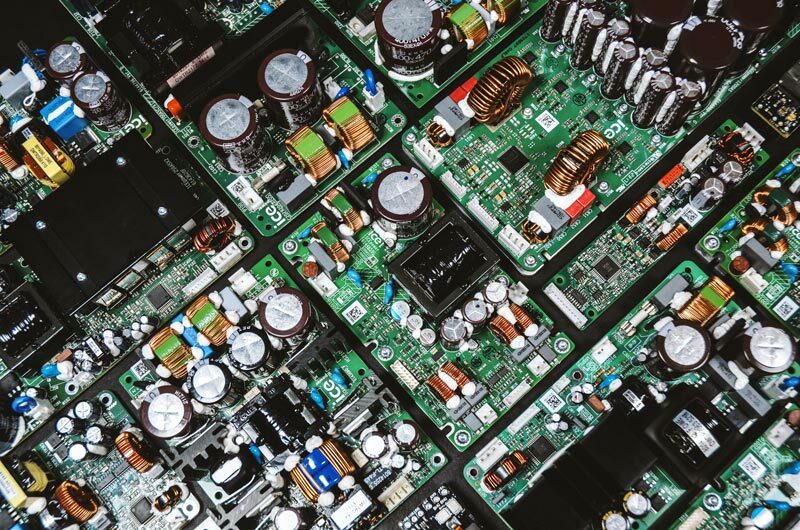 ICEpower is a supplier of superior audio solutions based on world class technologies and competences within class D amplifiers, switch mode power supplies, digital signal processing and system design. The great advantage of ICEpower is the breadth of our offering. You can pick-and-choose the products and services that fit to your particular needs. In some cases this may be that you design and manufacture your own solution based on our IC’s and design support. In other cases, when you lack the time or resources, we can design and manufacture complete products for you on a turnkey basis. Our co-operation with the largest and most prestigious audio brands in the world, enable us to establish branding and co-branding collaborations for the benefit of our customers. Our own brand, ICEpower, can also play a role in this connection. So, if you are looking to bring high quality audio products to the market at a competitive price/value – this is us. This is the power of ICEpower. ICEpower entered the audio market in 2001 with our first products in the shape of plug-and- play class D amplifier power modules. A few years later our first Audio IC’s were introduced to the market – designed and manufactured in co-operation with world-leading semiconductor companies. While all products we have introduced from 2001 onwards are still available in the market, we have today developed into a large-scale turnkey provider of audio solutions. We not only provide Audio IC’s and plug-and- play modules, we also provide complete speaker backplates (incl. amp, PSU, DSP, IP etc. ), and box build products, such as rack amps for PRO Audio, home, or commercial installations. We find that more and more of our customers work with ICEpower, because they have come to realize that to stay competitive, they need to focus their resources on the things they’re really good at. Mainly the part of the new products, where they add the most differentiation and value. Or they have challenges in introducing the required number of products in order to reach their ambitions for staying or reaching competitiveness. This is where ICEpower adds the most value. We have a large number of market proven, high quality audio power platforms already available, which we can easily turn into speaker backplates or box build products. As the cost of developing the power platforms have already been amortized, we only have to charge customers for the new part of the product. We have established a manufacturing set-up with an EMS partner in Thailand with a size, competences and attitude that matches our price competitiveness and high build quality. This combination of Danish engineering quality with Asian sourcing and manufacturing cost enable us to offer our technology and know how at a competitive cost. When engaging with customers on new projects, we work with you to analyze what solution makes the most sense for you in terms of your requirements and cost targets. In the following you can read more about our solutions and services according to the illustration at the top of the page. ICEedge is our latest audio IC. We proudly claim it to be the most advanced class D amplifier chip set on the market. It is a scalable solution which allows you, not only to design anything from 50 W to 7 kW, but also to reach all of your performance criteria on audio quality, reliability, protection, monitoring, etc. ICEedge is a technology platform that enables the design of the most competitive amplifiers in the market. We can approach the cost of monolithic amplifier IC’s, while providing significantly better audio performance. 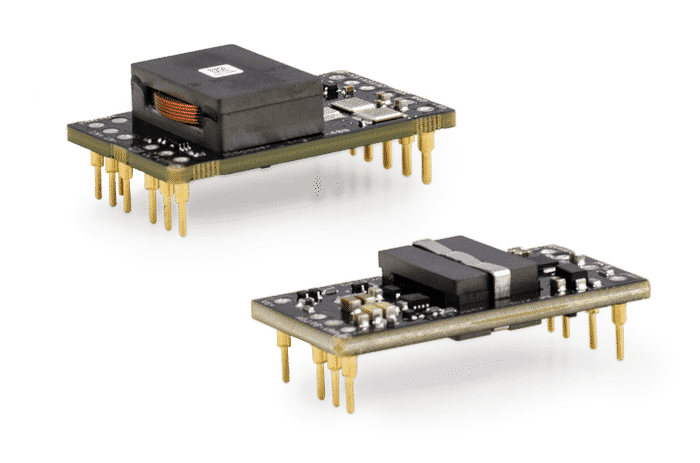 Besides ICEedge, we have also designed other Audio IC solutions over the years, which are available for customers to design with. Our experience in developing audio IC’s means that we also offer semiconductor companies the option to design new Audio IC’s together with us. Please enquire for a meeting. 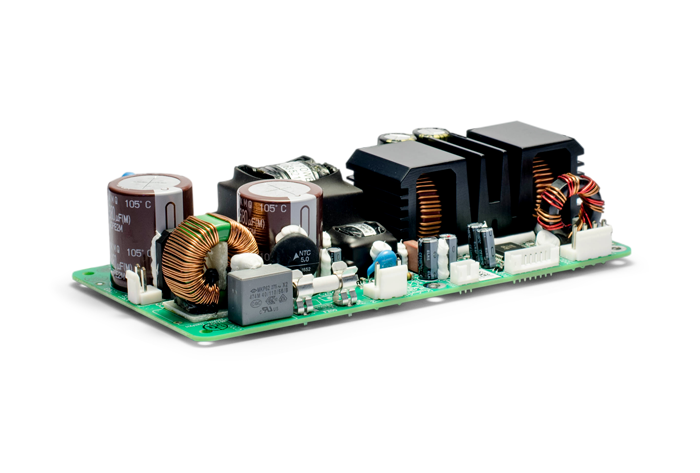 ICEpower has a wide variety of plug-and-play amplifier power modules incl. switch mode power supplies. Our pre-designed, high quality and cost-efficient modules range from app. 50-1200W. 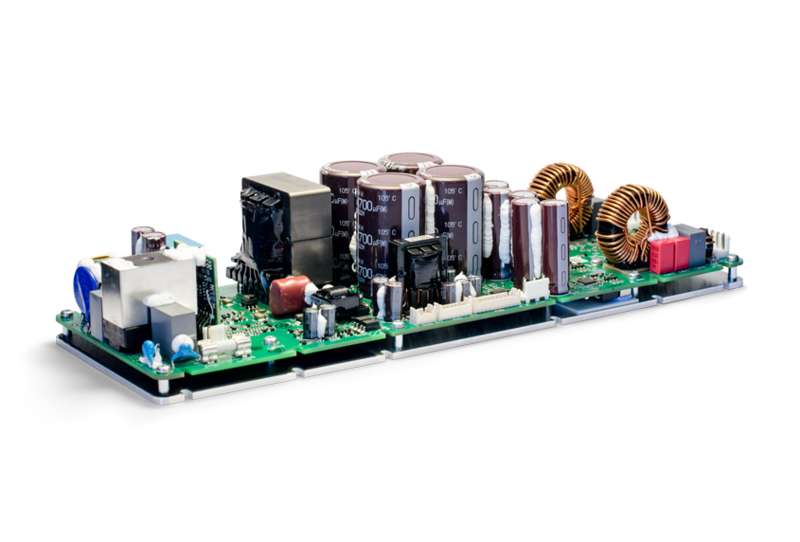 Our most recent series of amplifier power modules is the AS Series (Amplifier including power Supply). The AS series of amplifier power modules include single and dual channel solutions from 100W to 1200W per channel. To make them really easy for customers to design with by implementing all necessary system features in the modules. E.g. ErP compliant standby, universal mains, regulated auxillary supplies, pre-approvals for safety and EMC, etc. To deliver industry best price value by offering the best audio performance, continuous power and features at an extremely competitive cost. The AS Series is thus designed to beat any product on the market based on watt and performance per US dollar. ICEpower has electronic, mechanical, digital, DSP as well as software competences in-house. In addition, we work with numerous specialists and consulting houses predominantly in Denmark, Sweden and Korea. This enables us to source specialist competences and set the right team for any project. ICEpower can provide you with finished products, either through our or your sourcing/manufacturing channels. In most cases, the specification process is carried out as a mutual process between you and us. When the specification is done, we make an analysis together with you to decide the optimal sourcing and manufacturing setup. In recent years, ICEpower has taken a tremendous step forward in becoming competitive as a supplier of turnkey audio products. The establishment of the above mentioned competences at ICEpower. Our business model in which we predominantly rely on technical platforms and products in which the investment is already amortised. 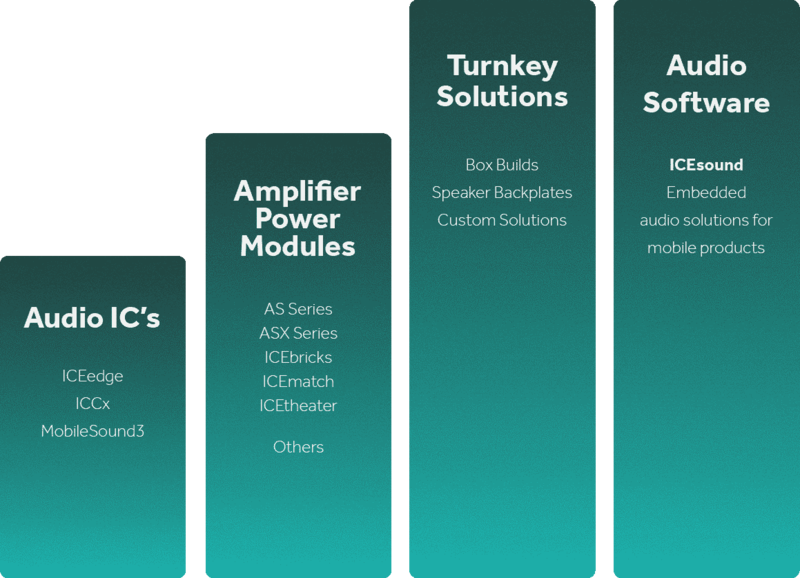 These factors enable ICEpower to offer very competitive audio products on a turnkey basis. An additional advantage is that working with ICEpower, you will be dealing directly with our experienced team of engineers and project managers. We will be your one point of contact as we will take care of the manufacturing set up for you. 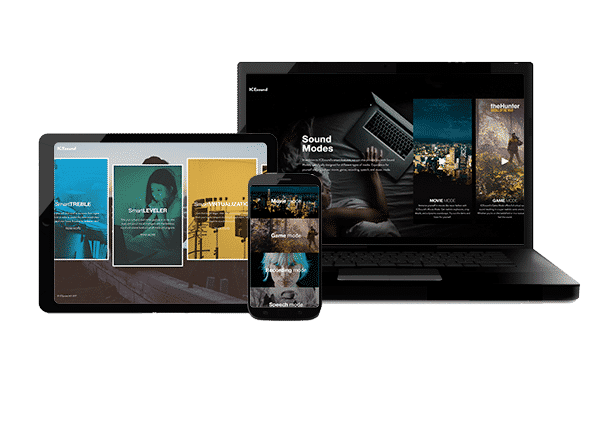 This means that you can minimize your travel, and instead will be able to concentrate on more value adding tasks such as introducing more new products per year. 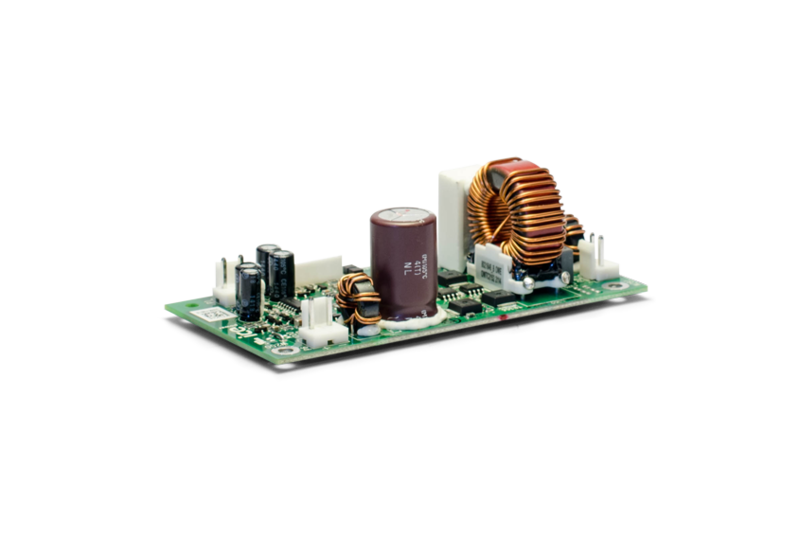 We offer DSP backplate solutions for speakers and subwoofers based on our market proven amplifier power modules. We also offer to customize backplates to your exact requirements incl. DSP and IP. We typically work out the specification together, and design the product according to your requirements. We analyze and listen to our customers in order to ascertain where the manufacturing makes the most sense. We also offer development of custom module solutions. We can handle the manufacturing or you can manufacture yourself, based on a licensing agreement. ICEpower has experience with class D amplifier solutions within consumer audio, pro audio, home automation, professional audio and automotive. We have been working with a large number of the most well-known brands in the AV industry. Further, we have teams in China, Japan, Europe and the USA, enabling us to include local team members in the handling and communication of the projects that we run with you. ICEpower is spearheading an audio revolution together with some of the world’s greatest mobile products. Our mission is to create the fullest, richest and most powerful sound experiences you will ever have from any electronic device. ICEsound – our intelligent enhancement software – improves the audio quality of a wide variety of global consumer products. From laptops and ultrabooks to smart phones, tablets and headsets. 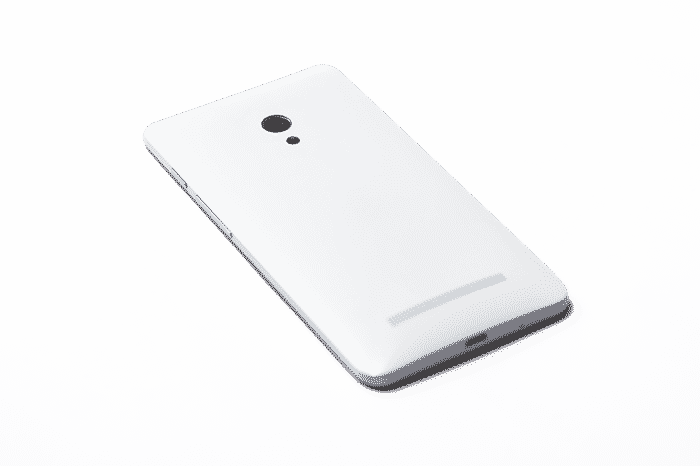 Our ICEsound customers are some of the world finest companies within mobile devices. Our embedded audio products and services are available either directly from ICEpower or through our partner, HARMAN, AudioEFX. Please see: www.embedded.harman.com/audio-technology. Audio speaks louder than words, and we welcome you to experience our world of sound. Check ICEsound out now on www.icesound.dk – here you can listen to samples and demoes, and learn what it’s all about. Please inquire for a meeting. Since 2012, ICEpower has worked on becoming not only best-in-class concerning audio performance and product quality, but also to be leading when it comes to cost – the price of our product/the price of your product. ICEpower has decided to offer competitive pricing. We always present a price offer better than the competition or at the same level as the competition. There are two ways to do this. We have reached the first by a dynamic and well managed product innovation including best practices in product development and design for cost. Secondly, we have decided to always offer our products and services at prices better than others. Since 2012, we have also been doing tremendous changes in innovation, processes and tools. The result is, that we have a new product program at a much higher level in terms of performance and features than previous, and at price much lower. ICEpower is price competitive in the market. Try us. The story of ICEpower clarifies who we are and where we are today as well as provides the background for the current strategy, values – vision and mission. ICEpower has close ties to the iconic, Danish high-end consumer electronics company, Bang & Olufsen. In 1999, a phD thesis on efficient, compact Class D amplifiers at the Technical University of Denmark (DTU) drew the attention of the Bang & Olufsen management. This resulted in a joint venture, which created the foundation for ICEpower a/s. From the start ICEpower became – not just a department of Bang & Olufsen – but a separate, limited company. At that time, the practical application of Class D technology to audio was new and generating interest in the audio world. 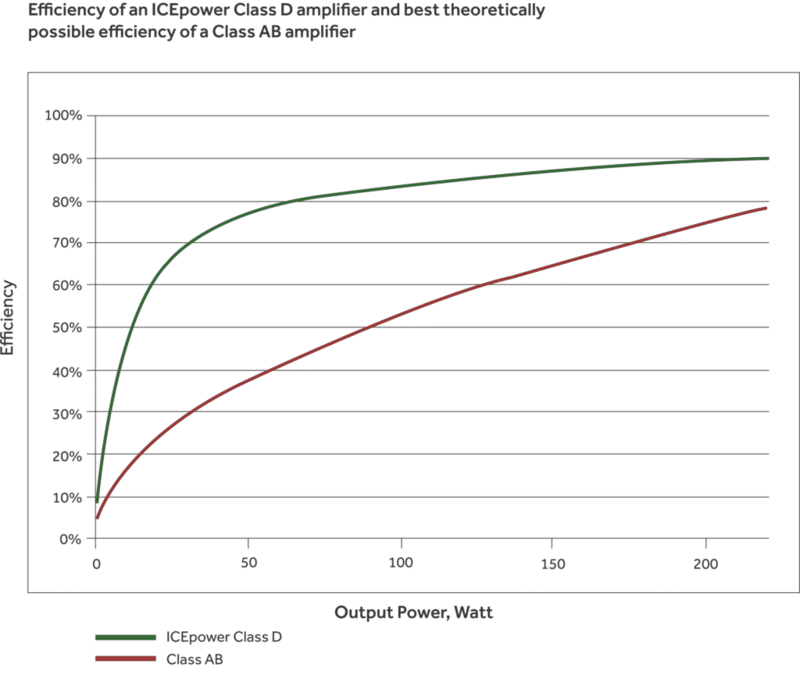 The advantages of high efficiency/high power density amplifiers made possible by the new Class D topology became apparent. 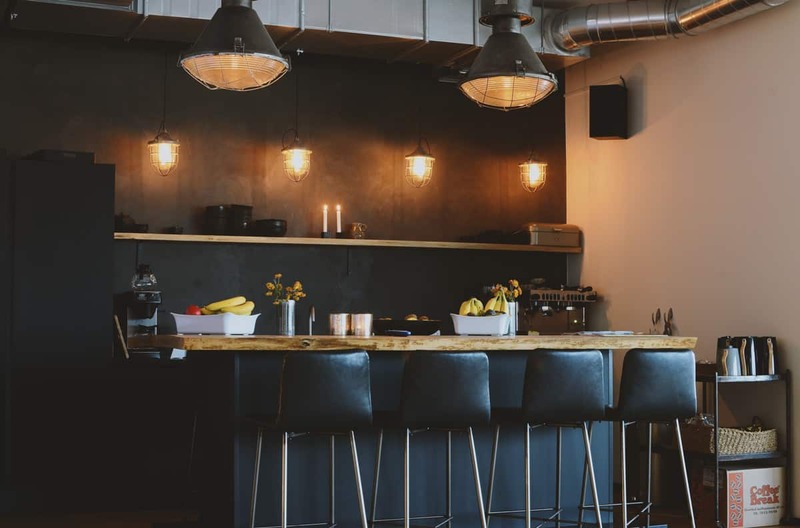 ICEpower’s close relationship with Bang & Olufsen made it possible to access resources, design tools, technical expertise, quality processes, and business knowledge at an early stage of the company. And more importantly, it laid the foundation of the high-quality level of ICEpower’s products. The relationship with Bang & Olufsen enabled ICEpower to quickly become one of the leading companies in the amplification world. Starting in high-end niche markets, ICEpower developed a range of premium quality audio power conversion engines used by some of the world’s most prestigious audio brands. 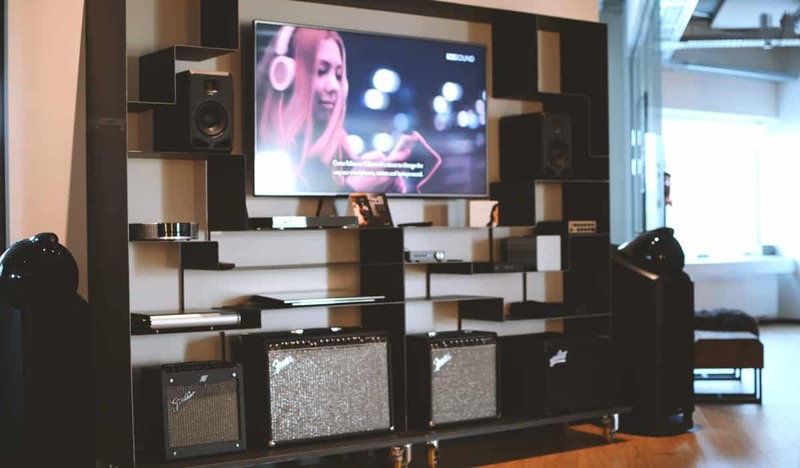 Both within hi-fi and PRO audio brands, ICEpower served clients such as Bowers & Wilkins, Pioneer, Sony, Alpine, Jeff Rowland, Rotel, RCF as well as Bang & Olufsen’s own products. Later on, ICEpower were used in Bang & Olufsen’s automotive platforms for AUDI, Mercedes, Aston Martin and BMW. The automotive platform co-operation is today continued with HARMAN. 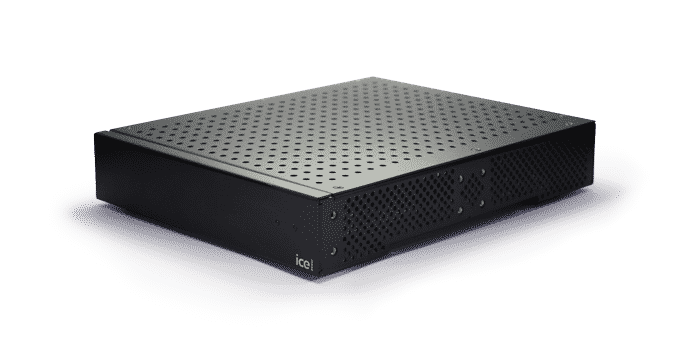 Gradually ICEpower built a powerful OEM business, delivering platforms used in low power systems (e. g. mobile phones) to large scale pro audio line arrays systems. In 2016, realizing the potential of the business as an independent entity, a management buyout supported by Industry Development (Industri Udvikling) – a Danish private equity company – allowed ICEpower to finally begin the development of its full potential. The relationship with Industry development is not a “hit and run” kind of thing. Industry Development is funded by Danish taxpayer’s savings and the purpose is to turn SME’s (small and medium enterprises) into larger enterprises. 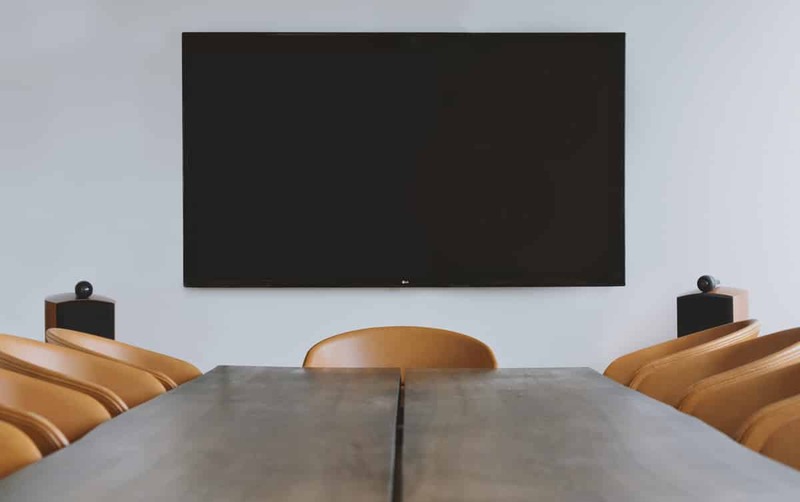 The strategic direction and decisions are made by the management of ICEpower, and the management are also majority shareholders. One of the first strategic moves of ICEpower in 2016 was to acquire Audio Bricks (Sweden) and it’s holding company, thereby also getting access to fundamentals from Anaview – a former competitor founded by Patrik Boström. The two founders of Audio Bricks, Patrik Boström and Lars Press Petersen, were well-known to ICEpower. ICEpower had co-operated with both earlier, and Lars held the position as Innovation Manager at ICEpower from 2003-2008. Besides the Audio Bricks products (now ICEbricks), Patrik Boström and Lars Press Petersen also brought their patents and ODM-business agreements with a number of semiconductor and A/V companies into ICEpower. The shareholding managers of ICEpower today are Keld Lindegaard Andersen, CEO, Mads Emil Solgaard Hansen, Sales & Marketing Director, Patrik Boström, CTO amplification and OEM, Lars Press Petersen, CTO SMPS, research and PRO audio. Recently a number of engineers from TI (Texas Instruments) in Denmark have joined ICEpower at its new HQ in Copenhagen, Denmark. The Bang & Olufsen period has enabled ICEpower to develop into a high-quality amplification provider with high audio performance. ICEpower is also the most competitive solution among its peers. We always present a price offer that is better than the competition or at least at the same level as the competition, but with better product characteristics. Our cost abilities have been reached by building up a best practice in product development and design for cost – also reflected in the latest AS Series (Amplification, Supply). Second and on top of this, ICEpower has decided to always offer our products and services at prices better than similar solutions from others. Today ICEpower has the agility, power and will to make our customers competitive in their respective market segments. The supply chain has been restructured partly by a new EMS co-operation, and partly by a new New Product Introduction-process enabling production of finished goods and cost-effectiveness. ICEpower is a high-tech company with strong ties to the music industry. Here you can read all about or unique approach to audio solutions, and our contributions in the field of Class D technologies. Instead of linear power regulation used in Class AB amplifiers, which leads to energy losses in power transistors, Class D amplifiers use switching transistors that operate only at two stages – “on“ or “off”. Nearly no energy loss occurs at the transistor and nearly all the power is carried to the transducer. Class D technologies have been around for decades, but until the 1990s their design and integration characteristics have not been developed to the level necessary for achieving high performance in quality audio and hi-fi applications. It is only in the 1990s that the semiconductor and digital technologies have been developed to enable enhancement of Class D technologies. ICEpower have pioneered in developing new technologies to enhance Class D amplification and bring the audio quality to the level accepted by audiophiles. This allowed for subsequent introduction of Class D technologies into a wide range of audio applications. For examples, the 10-channel solutions that ICEpower has created for Pioneer Electronics’ Susano A/V receiver could not have been developed without applying switching technologies – Class AB amplifiers could not sustain this amount of channels with high audio quality in a single product. 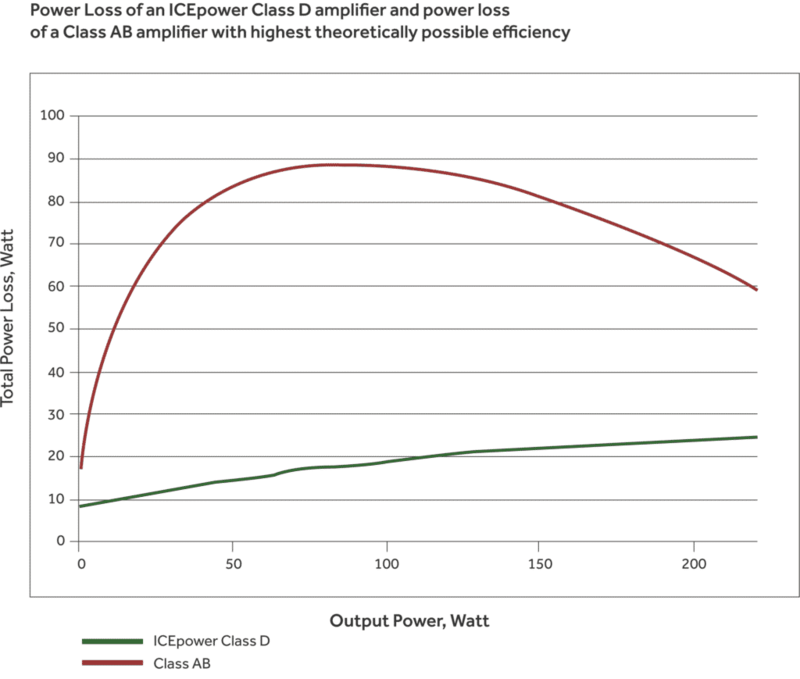 Vice versa, below is the graph of energy loss in an ICEpower Class D amplifier vs. power loss in a Class AB amplifier with the best theoretically possible efficiency. Want to work with some of the greatest audio brands in the world? Come join us at ICEpower. We are a market leader in our technological field. We work hard. 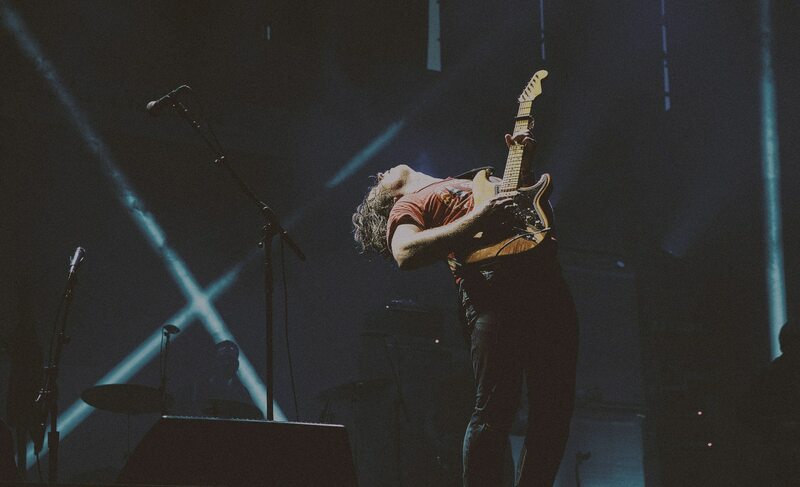 We play loud. Students are also welcome. ICEpower is a highly dynamic company. In seventeen years, we have grown from a small start-up to a world leading supplier of B2B sound solutions. With us, you will be able to actually participate in the development of cutting edge audio technology. ICEpower’s employees are among the most skilled in audio, power electronics, electro acoustics, control systems, digital signal processing and software. If you want to work with best – ICEpower is the place to go. Being on the forefront of the world’s technological progress, we do business and closely collaborate with customers in high-tech centers of the world such as the US, Western Europe, and Asia. You will have the opportunity for direct contact with clients, a high degree of responsibility, and a variety of tasks. ICEpower provides a dynamic, challenging and fun environment – whether your work takes place in our in-house laboratory or abroad visiting customers. As a successful R&D house, ICEpower offers competitive compensation packages and social plans. If you wish to send an unsolicited application, please send it to job@ICEpower.dk. Motivated students interested in writing their exam project or doing special courses in a company where creativity, innovation and quality are in focus, are welcome to contact ICEpower. We continuously collaborate with the Technical University of Denmark (DTU), the Copenhagen University College of Engineering, and other European technical institutions on Bachelor-, Master- and PhD-level projects. Furthermore, as it is obligatory to have an academic supervisor attached to a student project, it is a clear advantage to be able to document that a supervisor is connected to your project prior to your application. We look forward to receiving your application. At the same time, we expect to create usable content out of the projects and therefore have high expectations to the students. Therefore, we would like to inform you that we can only engage in relevant projects by students with high academic qualifications. With the above mentioned information taken into consideration, we will be happy to consider your application. Average response time is 2 weeks.